Opened July 2, 2012, the Chair of Cyberdefense and Cybers​Security Saint-Cyr, Sogeti, Thales aims to better anticipate future cyber threats by combining the skills of military and civilian worlds. 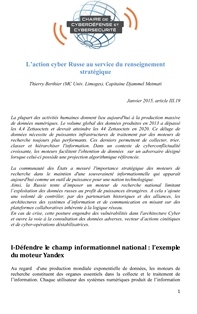 To develop scientific thought-leadership on strategy related to cyberspace. To complete the scientific work already in progress by approaching issues in the cyber domain from a human and social sciences perspective.